The Spring 2015 Practice Report and Fall 2015 Practice Registration forms will be available on Practice Forms starting Friday, May 10. All students (with the exception of MDS and New Curriculum BDS), regardless of employment status, are required to submit both Practice forms no later than midnight on Sunday, May 17 in order to have the Practice (Registration) Stop lifted from their account. 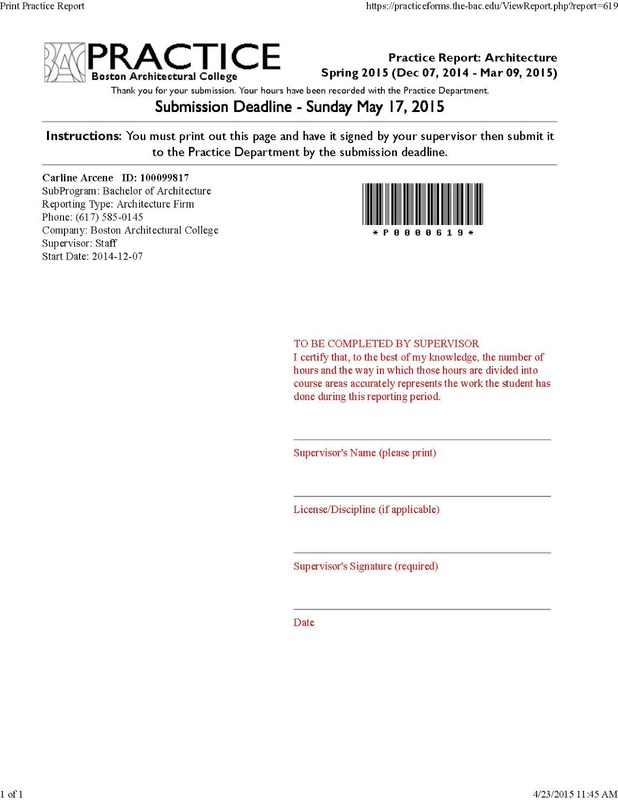 Students who report Practice Hours or register employment with a design-related company must have both forms signed by the appropriate work supervisor and delivered to the Practice Department no later than midnight on May 17th. Failure to submit Practice Forms by the deadline indicated may impact a student’s ability to receive financial aid or register for Fall 2015 classes. Visit the Practice webpages more information about reporting hours and registering employment information or email practice@the-bac.edu with additional questions.